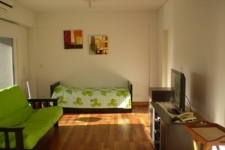 Apartment for temporary rent in Almagro. Price U$S: 385.- (per week). U$S: 926.- (per month). Price : 510.- (per week). : 1217.- (per month).